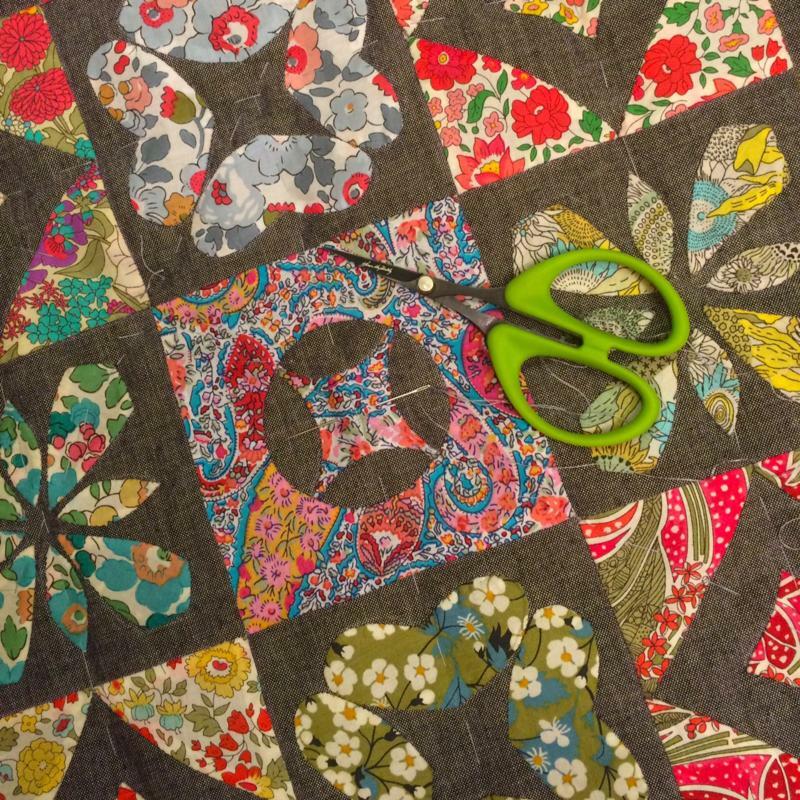 It's been a long time since I have done any needle turn applique or hand quilting! 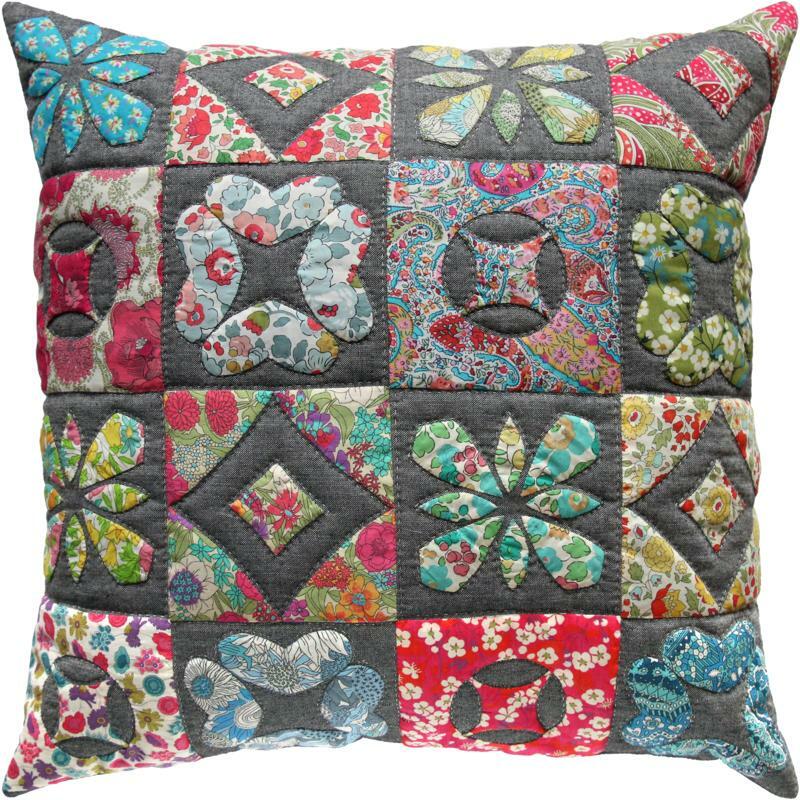 I totally enjoyed making my Lovely Liberty cushion and hope I can find some time to make another one soon. First I selected my fabrics. 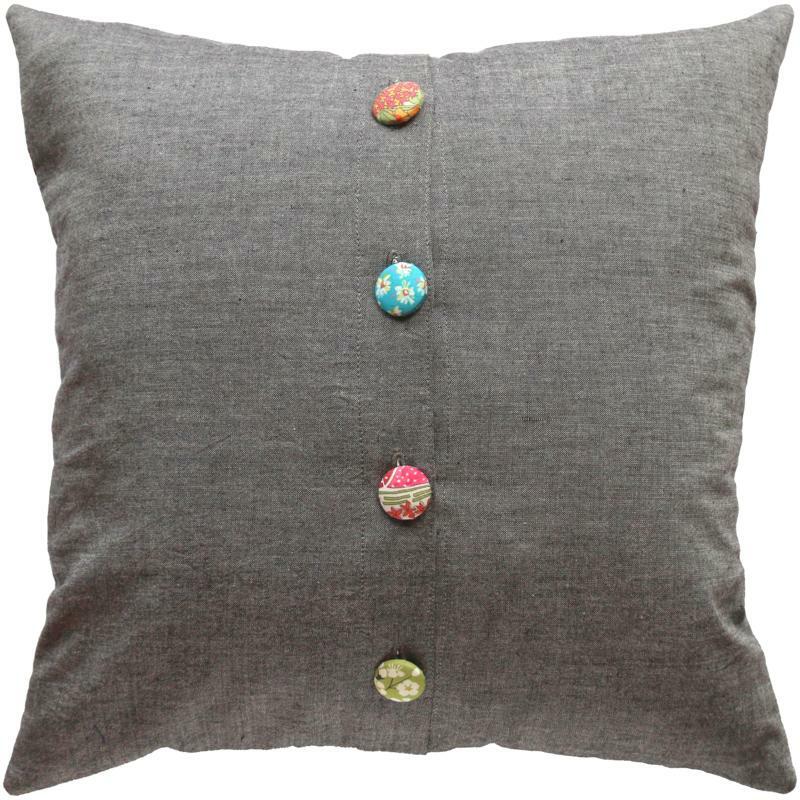 16 for this cushion. 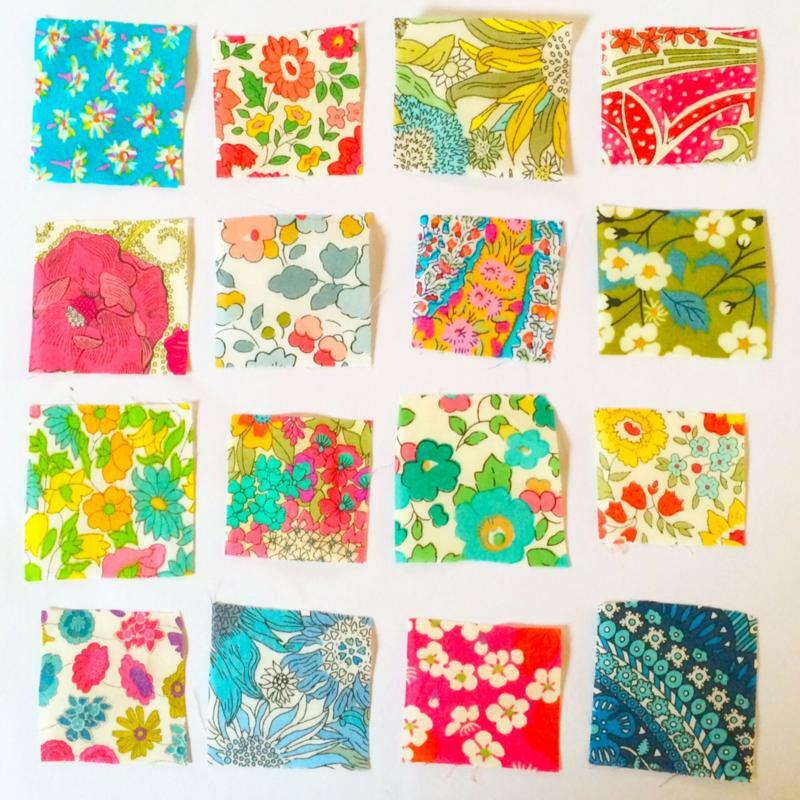 Millrose Cottage is where I purchased these fabrics, they have a ROOM full of Liberty fabrics, the largest range I have ever seen in one place! 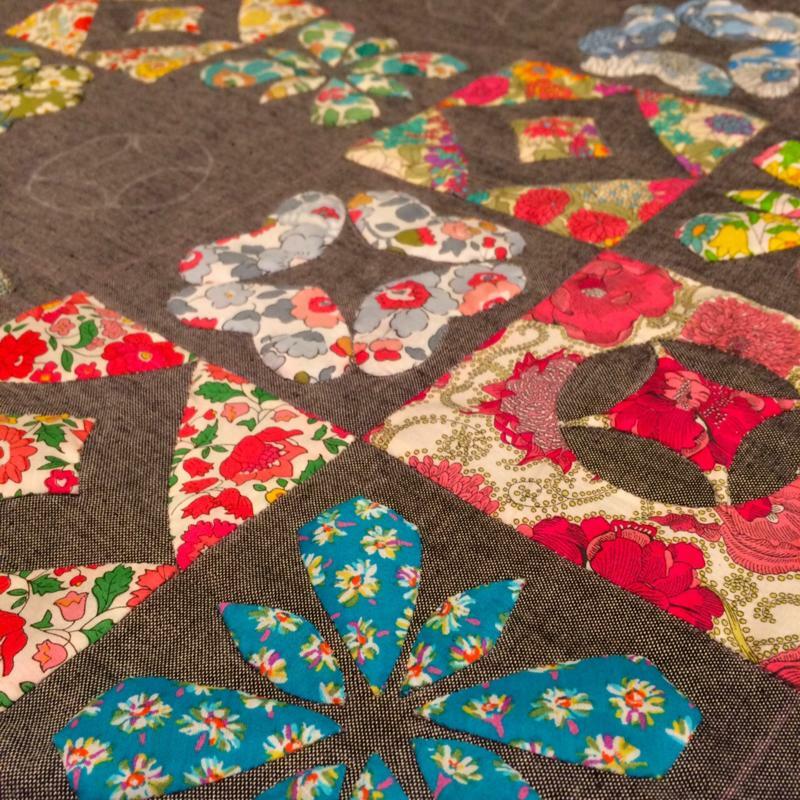 Then it was time to start the applique. I used silk thread and Jeana Kimball size 10 straw needles. 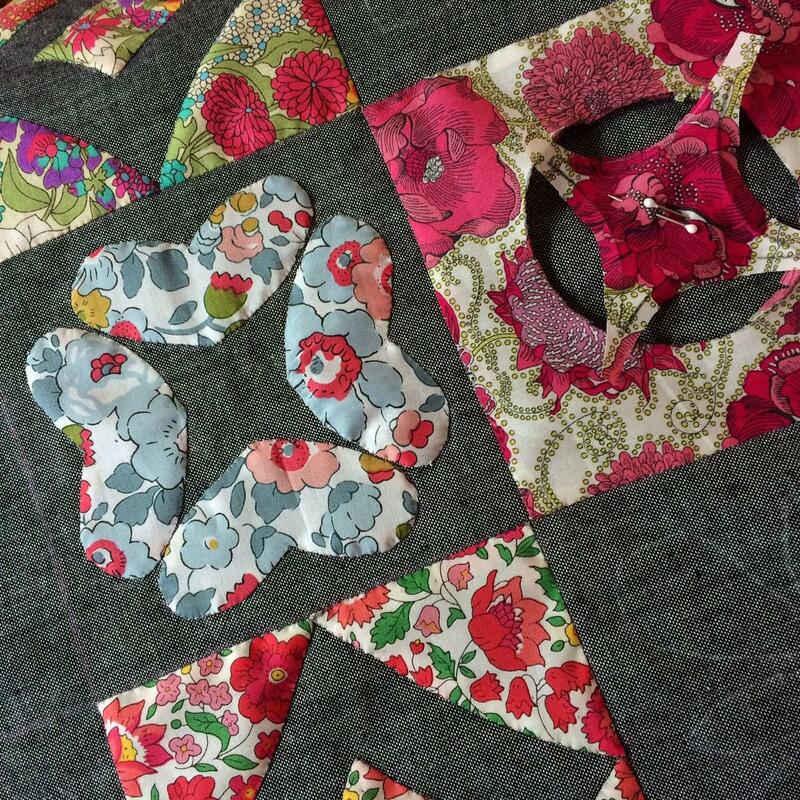 Once all the applique was complete I hand basted the cushion front ready for hand quilting. For the batting I used Hobbs 100% wool batting. 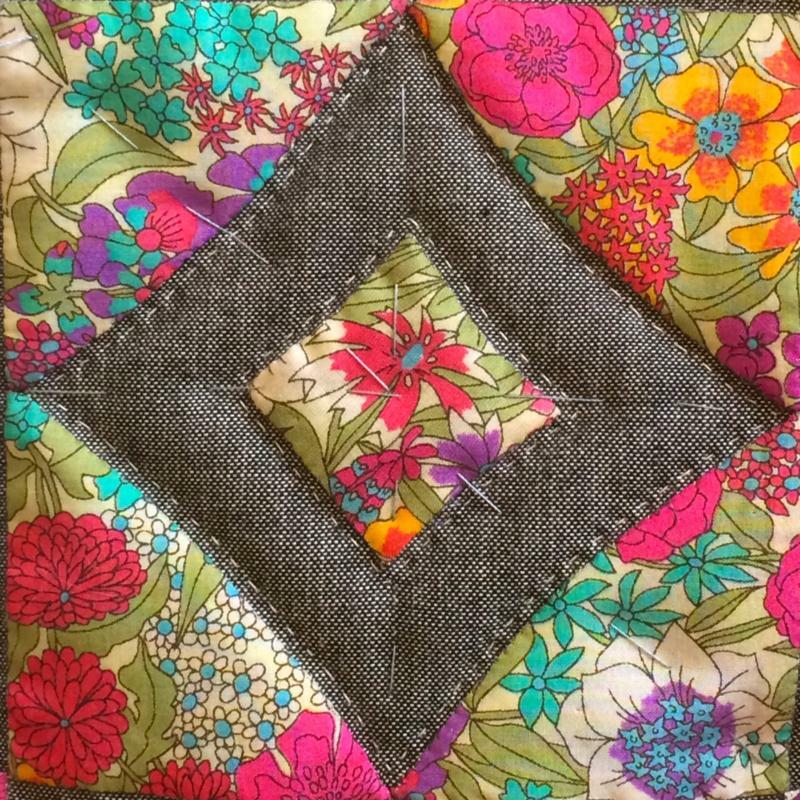 I love this batting as it is very easy to needle and had a high loft that really shows off the quilting. 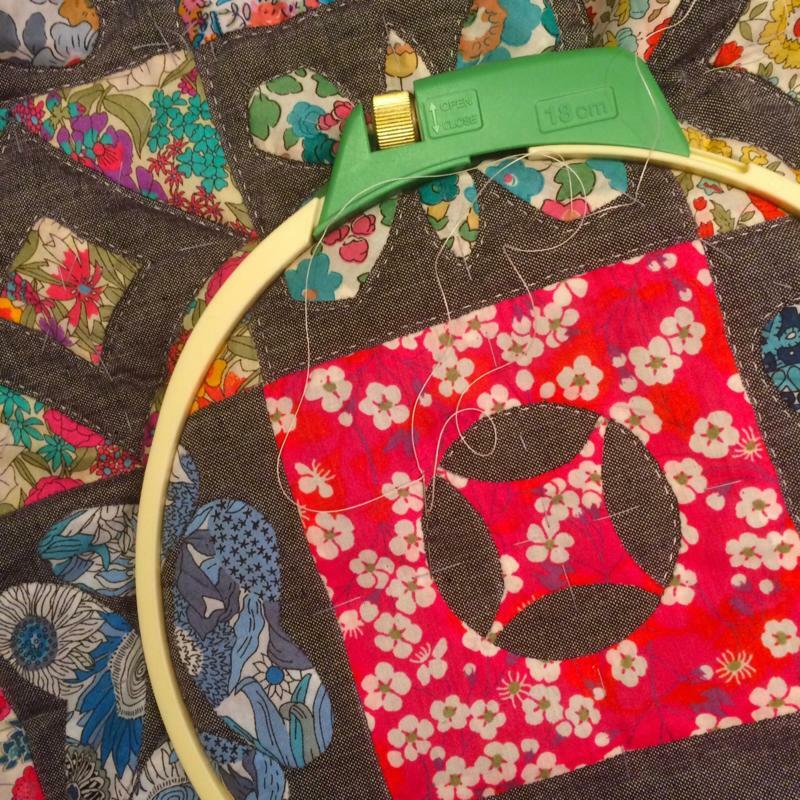 I also loved using my clover hoop, this is much smaller than my usual quilting hoop but was perfect for this small project. 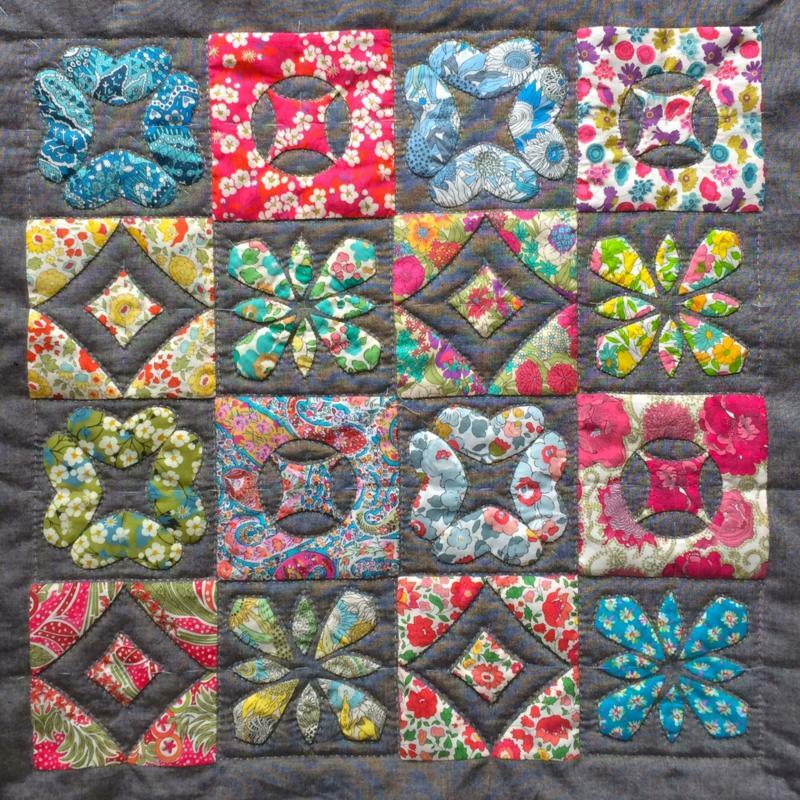 Once I finished quilting I decided to make a button back for the cushion using some of the left over fabric to make covered buttons.